Recruiting is one of the hottest issues for HR professionals, largely thanks to an improving economy and low unemployment rates. These two factors has led to a recruiting crisis for any company looking to expand. 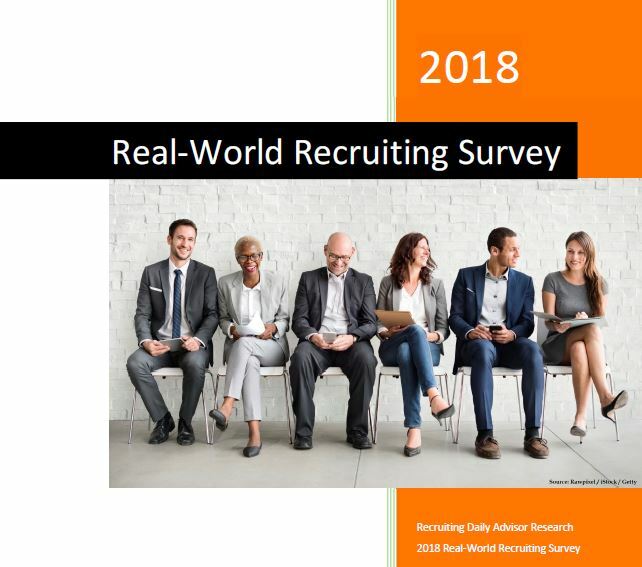 The Recruiting Daily Advisor® research team conducted the 2018 Real-World Recruiting Survey in March 2018 to take a snapshot of the real-world recruiting landscape. How do you approach recruiting for open positions? Which avenue of online recruiting do you find most successful when looking for applicants? What are the biggest pros and cons of online recruiting? You don't want to miss out on this FREE report! Download your copy today! Yes, I'd like to receive Recruiting Daily Advisor!